Some blame the president, New York's mayor, the protesters, and even the black men and boys who were murdered by the police and vigilantes. 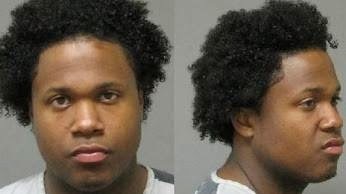 We should blame the broken mental health system for Ismaaiyl Brinsley shooting his girlfriend, two police officers, then himself. Condolences to all grieving families. The bill passed the New York State Assembly and Senate, but Gov. Cuomo has to sign it for it to become law. The bill makes sure prisoners with mental illness who are being released are given a discharge plan, an appointment with a community program, and enough medications to last until the appointment. It also adds parole officials to the list of people who can refer someone with a mental illness to a hospital for evaluation. This will help reduce reincarceration, says mental health expert, Dj Jaffe, director of the Mental Illness Policy Organization. Ismaaiyl Brinsley's face is not the one that should be applied to the nation's righteous protests against police violence. Hundreds of dead men and boys and thousands of nonviolent protesters of all races who stand together and say "All lives matter" should remain the focus of the movement for greater police accountability. More than half the victims of police violence are mentally ill people like my brother Larry Neal was when he was secretly arrested for 18 days and murdered while in Shelby County Jail in Memphis, Tennessee (see the website below). Even as we mourn the loss of police officers and hundreds of citizens killed in police-related incidents, Milwaukee alerted the National Guard prior to releasing the indictment decision for another mentally ill man who was slain by police. 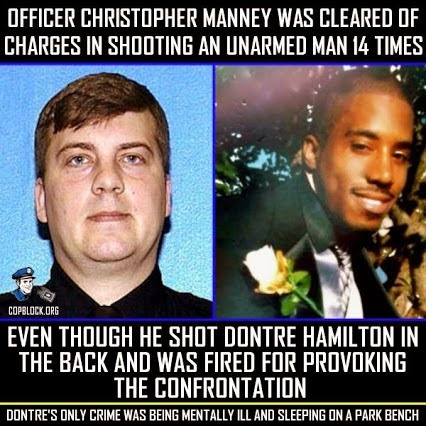 The Free Thought Project reports "Protests have intensified in Milwaukee as the community anxiously awaits the district attorney’s decision on whether or not to indict a former officer Christopher Manney who shot Dontre Hamilton 14 times, including once in the back, on April 30." Read more >> http://bit.ly/1AXue7h (See the full link below). 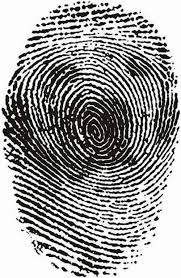 1) All police officers should undergo psychological evaluations, drug testing, and thorough background checks before hiring. Maintain a database on all police officers who were terminated because of inappropriate conduct. Police officers who have been fired because of substantiated complaints by citizens citing harassment and overuse of force should be ineligible for rehire by any other police department or in any capacity that requires the personnel to carry a firearm. 2) Conduct unscheduled drug testing for police departments periodically, and test every officer immediately after his/her involvement in violent incidents. Steroids cause brain damage and aggression, and should be included in the drug tests for police officers. 3) Hold police officers accountable to the same standards that prosecutors would apply to other citizens when they become criminal suspects. Police officers who become criminal defendants should pay for their legal defense using their own personal resources or use public defenders. In no case should police defendants' legal defense fund include taxpayers' funds beyond the monies already appropriated to make public defenders available to defendants who cannot afford an attorney. 4) The U.S. Congress passed a bill requiring an accurate count of all people in America who are killed by police and who die in custody, regardless of the cause of death. The data reported will include the name, age, race, and gender of each victim, and information about the death. Assistance to the Incarcerated Mentally Ill (AIMI) holds that an additional category must be whether or not the victim had a documented diagnosis of mental illness and/or history of substance abuse. It has been stated that the database will be used to assess information on race-based killings. The government not only has the responsibility to protect Americans of diverse races but also a responsibility to protect Americans with mental disabilities, which has been largely overlooked. Therefore, the bill for data collection from police departments should be amended to add an entry for mental illness before the president signs it into law. 5) To reduce the violence to and by mentally ill Americans, the nation should immediately fund assisted outpatient treatment (AOT) programs for all mentally ill inmates or hospital patients before their releases. The U.S. Congress should pass H.R.3717 "Helping Family in Mental Health Crisis Act," which has a pilot program for AOT programs as well as other provisions that would help repair America's broken mental health system. 6) When police kill, should they judge themselves? Gov. Scott Walker (Wisconsin) answered with a resounding "no," signing into law a bill that requires outside investigation when people die in police custody — the first of its kind in the nation. This should become a federal law. (See a link to the news story from Wisconsin below). 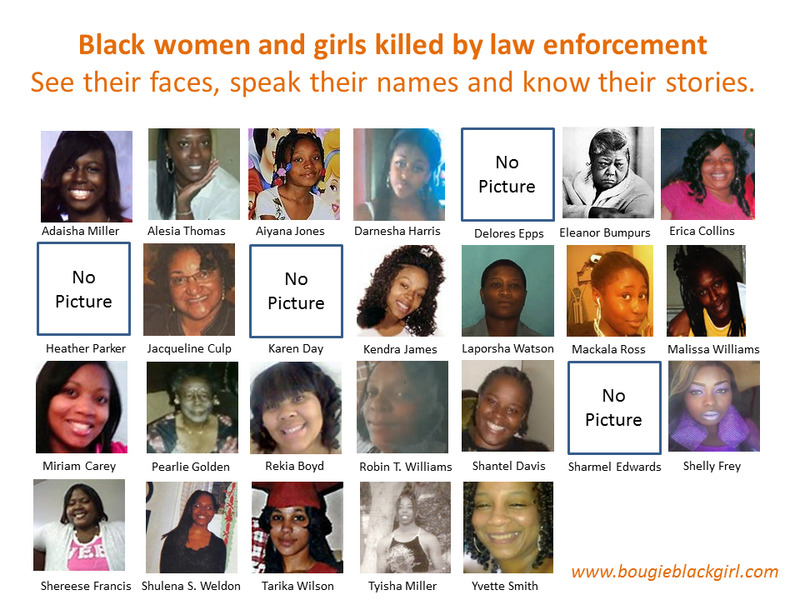 In addition to the black boys and men, police also killed numerous black women. Some of their photographs are shown below. Immediate measures must be enacted to prevent the United States of America from falling into anarchy. Citizens cannot be expected to tolerate the continued police killings of unarmed people who are black and brown or whites who lack wealth, and the lives of the nations' most vulnerable people (the homeless and the mentally ill) must be protected. Unless the government's aim is Martial Law, changes must be made with haste to ensure that all deaths are met with due process of law - not by government cover-ups, excuses, and ignoring laws against murder if prosecution against police and corrections officers is warranted. No amount of criticism by the police union against protesters, officials, and community organizers will suffice to repair the growing breach between police departments and the citizenry they are paid by taxpayers to protect. America must fully honor the U.S. Constitution and the International Declaration of Human Rights for the sake of its domestic security. On Sunday, December 21, 2014, "Human Rights Demand" on Blogtalkradio featured an interview with Windy Hempstead, whose brother Harold Hempstead reported the murder of Darren Rainey. 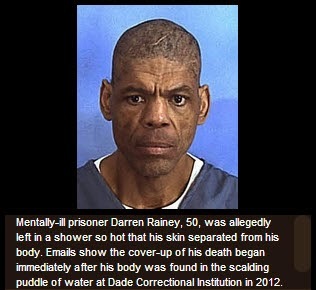 Rainey was killed in Dade Correctional Institution in Florida in 2012 (see the link to the show below). Two years later, Rainey's murder by scalding in a small shower had not been investigated, and the corrections officers responsible had not been disciplined in any way. The Hempsteads then took the story about Rainey to the Miami Herald, which reported the news, unlike mainstream media companies I contacted about Larry Neal's murder, which was also ignored by all government authorities. Even today, almost three years after Rainey's torturous death, the medical examiner has not filed an autopsy report, and nobody has been charged with Rainey's killing. The jail and USDOJ refuse to release information about Larry Neal's murder eleven years later. Unrequitted murders say "Black lives don't matter," and the public disagrees, as it is their moral duty to do so. If the U.S. Government is as inept at protecting the human and civil rights of minorities and Americans with mental illness as it appears to be, surely we need help from other countries and the United Nations. Demonstrations against unrequited police violence were held in diverse countries throughout the world when officers involved in the wrongful deaths of Eric Garner and Michael Brown were not indicted. Brown's family traveled to Geneva to the United Nations and cried out for assistance making the United States honor its obligation to uphold equal justice for all. U.S. protesters also spoke at the United Nations to say "Hands Up, Don't Shoot" and "I Can't Breathe." AIMI plans an action in International Court in 2015 to protect the rights of Americans with mental illness. AIMI will bundle up to 100 cases detailing neglect, police brutality, systemic torture in custody (including solitary confinement), and unrequited deaths of mental patients and drug/alcohol addicts as well as their victims. The cases will be represented by an international human rights lawyer in a civil action for recovery of damages for the victims or their survivors. AIMI will also present a list of recommended changes that we hope the United Nations will mandate for its member state, the USA, to prevent more loss of innocent lives and avoid disruption of peace in this country where continued police murders and deaths in custody threaten the entire social structure. See information at the "AIMI - Human Rights" blog at the link below. 1) Please call 518-474-4246 and ask to speak to Larry Schwartz. If the operator asks you what you want, say “I want Governor Cuomo to sign S7818/ A10071 "The Prisoners Mental Health Discharge and Planning Bill.” Your call may be transferred elsewhere. If so, repeat the same message. 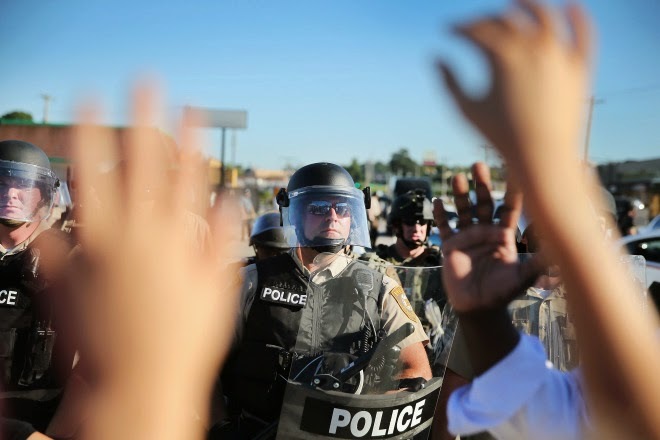 3) Sign this petition: "We Demand National Change to Protect Citizens and Communities from Police Violence and Misconduct" (it presently has 743,113 signatures). The face of Ismaaiyl Brinsley is not the correct icon for the People's opposition to police violence. Protesters condemn his actions. Brinsley was merely another mentally ill man who lacked the psychiatric treatment that he needed and deserved. In fact, his mental disability leads to the deaths of hundreds of Americans' deaths annually, killed on our streets and in custody. 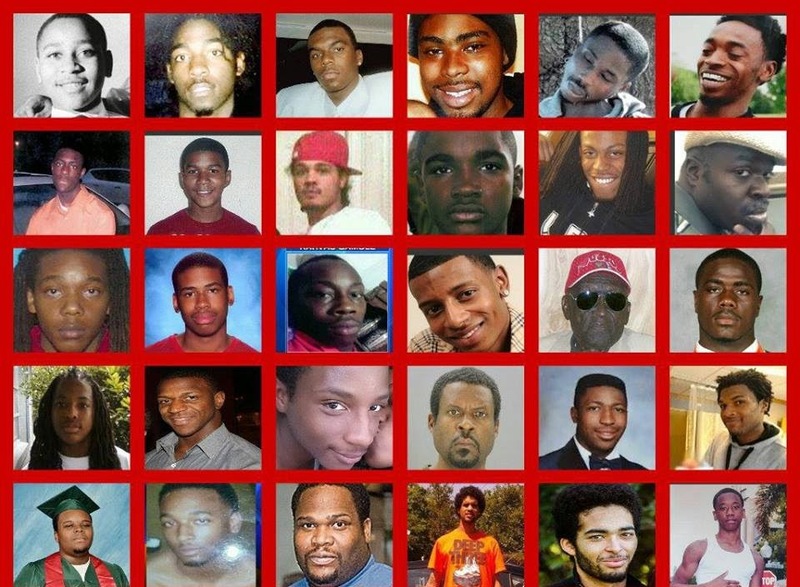 The struggle for police accountability is better depicted by the posters in this blog showing men, women, and children who were killed and thousands of nonviolent protesters in the video and photographs below. We ain’t gonna stop till people are free"
This song was sung at a protest march seeking justice for Eric Garner and other victims of police violence, Atlantic Avenue, Brooklyn, NY, December 4, 2014. 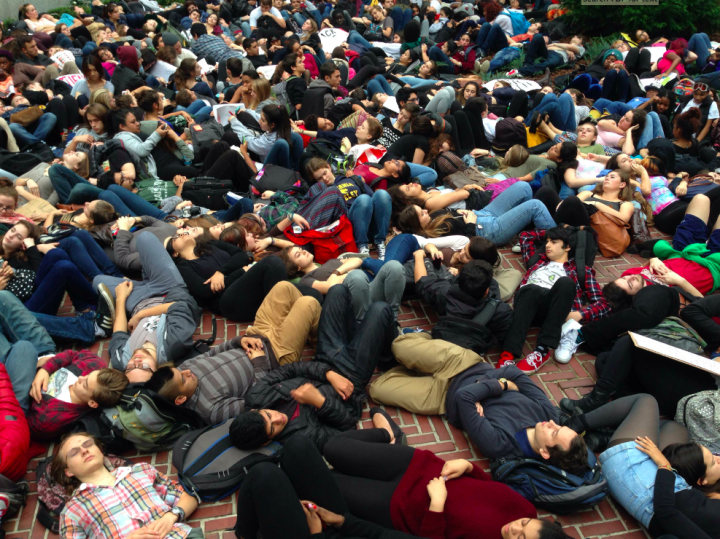 Die-in, representing the 4.5 hours Michael Brown's body lay in the Ferguson street and the dead body of Eric Garner on a New York City sidewalk after being choked to death. AIMI members hope that all government officials follow Gov. Walker's lead and apply corrective measures to overuse of force incidents and deaths in custody that threaten peace in our society. Problems are caused by the system which refuses to police the police and acknowledge that all lives matter, not by protesters who cannot breathe in such a system. CONDOLENCES to the families and friends of all people whose lives were taken in acts of violence. We solute government officials and protesters who continue to work for positive changes in the system.